Discuss about the Clinical Reasoning Cycle for Effective Framework. Clinical reasoning cycle is an effective framework for clinical practice that helps in detecting chronic symptoms of illness in patients and assists in developing a rationale for planning an effective intervention. A nurse with effective clinical reasoning skills has a positive impact on patient outcomes (LeMone et al., 2015). This case study utilizes clinical reasoning cycle framework to plan and evaluate the condition of the patient in the study. It considers the patient situations to process health related information. The report mainly identifies three nursing problems based on an assessment of patients and then establishes the goal of nursing care related to the problems identified. Finally, it gives detail on evaluation and reflection on patient’s outcome. The first step for the nurse to work according to clinical reasoning cycle is the considering the patient situation. The case study is about a 79-year-old widowed woman, Mrs. Connie Brownstone, who has been admitted to the Emergency department with severe shortness of breath or dyspnea. It was found that she had a history of non-productive cough since three days. Apart from this, she also has a pre-existing history of asthma, and she was also admitted to intensive care unit five years ago. This detail suggests that patient has the problem of shortness of breath due to the Exacerbations of Asthma. Pulmonary edema might also cause her current condition. To collect more cues/information about the patient ailment, the patient assessment was done. The assessment of patients was done according to Australasian Triage Scale. The use of this tools ensures patients are seen promptly commensurate with their clinical urgency. The patient was triaged on arrival by triage nurse which lasted for 10 minutes. That is why she was categorized as category 2 according to Australasian triage scale and assessment was mainly done to check her respiratory distress symptoms (Hodge et al., 2013). The necessary nursing assessments include monitoring Mrs. Connie’s ventilation, work of breathing, lung function, airway resistance and air flow. The nurse monitors whether the patient was having difficulty in speaking between breaths and to detect the presence of cyanosis or diaphoresis (Forbes & Watt, 2015). This is significant findings to judge and consider the level of severity of the condition in the patient. The assessment by triage nurse showed Connie was distressed, slightly diaphoretic and peripherally cyanosed. The three sign of cyanosis, inability to maintain respiratory effort and decreased consciousness suggested that Mrs. Connie had an imminent respiratory arrest (Murray et al., 2012). The next step was to determine patient work of breathing. In this area, nurses monitor the key signs like the use of accessory muscle to breath, inability to lie flat and speak full sentences, extreme diaphoresis, restlessness or unconsciousness. This assessment showed that Mrs. Connie s working too hard to breathe which is evident from her symptoms of slight diaphoresis, use of accessory muscle and persistent hypoxia despite Hudson mask (Osborne et al., 2015). Assessment of further vital signs showed her to be tachycardic at 125 beats/min, febrile at 39.4° C and SpO2 at 85%. Thus this method of processing patient’s information helped in determining the level of severity in the patient. After the assessment of patient’s vital signs and breathing patterns, the nurse can identify that three key problems in Mrs. Connie are peripheral cyanosis, hypoxemia, and tachycardia. Managing this three condition will be vital to prevent any health complication in Mrs. Connie. Peripheral cyanosis occurs due to low oxygen levels in the red blood cells and leads to bluish color of the skin and mucous membrane. The persistent of this sign suggest that there is some serious problem, and it is interfering with Mrs. Connie ability to deliver oxygen-rich blood throughout the body (Tran, 2016). It will be a challenge for the nurse to manage this problem. Pulse oximetry and arterial blood gas helped in measuring oxygenation level in the patient and determine the factors that contribute to this problem (Welsh & Carr, 2015). Chest X-ray is also essential in this regard to check the fluid in lungs or heart. But the Chest X-ray report showed mid-heart enlargement, but pleural spaces were clear. Good patient outcomes also rely on the nurse’s ability to assess ventilation and other vital signs. As the number of choices is increasing, it will be a complicated process for the nurse to determine whether Mrs. Connie needs interventions like airway management, ventilation, intubation or noninvasive ventilation or not. It will be necessary for the nurse to recognize retraction and accessory muscle use (Stefan et al., 2015). The nurse can question the patient whether she can lie down properly or she suffers from orthopedic. The patient was also in distress which is evident from her slight diaphoresis. Assessment in the area of respiratory rate and pulse oximetry would also be problematic for the nurse as pulse oximetry results confuse oxygenation with ventilation (Murray et al., 2012). The priority of nursing care for Mrs. Connie is to reduce her symptoms of hypoxemia, peripheral cyanosis and tachycardia using planning effective interventions. It will also be necessary to plan an intervention that minimized the patient support for supplemental oxygen via Hudson mask. It will be necessary for the nurse to maintain the airway potency in patients and assist them with interventions to facilitate gas exchange (Stumbles et al., 2013). The care priorities for the nurse will be to enhance nutritional intake, prevent complication in patient and provide information about the disease process or prognosis to Mrs. Connie. Sharing information about the disease process and the treatment regimen will help Mrs. Connie in adhering to treatment as well as self-management to minimize risk (Ignatavicius & Workman, 2015). Maintain ineffective airway clearance- As the patient had a history of non-productive cough, airway clearance can be done by steps like Auscultate breath sounds, noting the degree of respiratory distress, encourage purse lip breathing and increase fluid intake in patients (Hodson & Sherrington, 2014). Reduce impaired gas exchange- As the patient had increased work of breathing, the nurse will aid the patient to assume a position that eases work of breathing. Peripheral cyanosis indicates advanced hypoxemia, so regularly assessing color of skin and mucous membrane is essential. Thick sputum is a major source of impaired gas exchange, so suctioning will be helpful. Vital signs, sleep patterns, and activity tolerance should be monitored regularly in the patient (Guérin et al., 2013). Reduce risk for infection- The role nurse will be to educate the patient about the importance of breathing exercises and balancing rest and activity periods. The patient will be instructed about the rationale for breathing exercise, coughing and others exercise. The nurse will also look after the nutritional needs of the patient (Ignatavicius & Workman, 2015). To assess ineffective airway clearance, auscultate breath sounds is essential to determine the degree of obstruction. For example moist crackle sound may suggest bronchitis while absent breath sounds may suggest severe asthma (Boucher et al., 2013). Changing position of the patient to assume a comfortable position is also an effective strategy as it facilitates respiratory function by use of gravity. It will help in reducing muscle fatigue and aid chest expansion (Gattinoni et al., 2013). Increasing fluid intake is essential to decrease the viscosity of secretions and facilitate expectoration. Regular pulse oximetry test and chest X-ray is also essential to detect changes in oxygen saturation levels. As Mrs. Connie is a patient with hypoxemia, restlessness and anxiety is a common exacerbation of respiratory distress. Therefore, it is necessary for nurse to monitor the standard of consciousness and mental status of patient. Mrs. Connie might not be able to perform self-care activities, therefore teaching exercise program helps in increasing endurance and strengths without causing dyspnea. Dyspnea also prevents relaxation and inhibits. Therefore it will be necessary for the nurse to monitor patient activities to allow the period of uninterrupted sleep (Miller et al., 2014). It is expected that after the planned nursing care has been taken on the patient, Mrs. Connie’s condition will improve, and she will not have to rely on accessory muscle bags. The patient airway potency will increase with better breath sounds and patient will be free from respiratory distress symptoms like tachycardia, peripheral cyanosis and diaphoresis. However, assessment of patient is a critical step in nursing care. Therefore it will be essential for the nurse to have adequate skills to monitor the test and not get confused with different indications from the test of pulse oximetry and ventilation. From the analysis of case study by using clinical reasoning cycle framework, it can be concluded that it helps nurse to plan and evaluate effective nursing strategies for the care of patients. Critical thinking in clinical practice is a skill that nurse can learn with experience, and it depends on attributes like creativity, flexibility, contextual perspective, inquisitiveness and perseverance (Chao et al., 2013). The clinical reasoning cycle helps nurse to work in a systematic way to process critical information of patients and then provide better health outcome to a patient in distress. Boucher, N., Prystupa, A., Witczak, A., Walczak, E., Dzida, G., & Panasiuk, L. (2013). Lung auscultation–Identification of common lung sound abnormalities and associated pathologies. Journal of Pre-Clinical and Clinical Research, 7(1). Chao, S. Y., Liu, H. Y., Wu, M. C., Clark, M. J., & Tan, J. Y. (2013). Identifying critical thinking indicators and critical thinker attributes in nursing practice. Journal of Nursing Research, 21(3), 204-210. Forbes, H., & Watt, E. (2015). Jarvis’s Physical Examination and Health Assessment. Elsevier Health Sciences. Gattinoni, L., Taccone, P., Carlesso, E., & Marini, J. J. (2013). Prone position in acute respiratory distress syndrome. Rationale, indications, and limits. American journal of respiratory and critical care medicine, 188(11), 1286-1293. Guérin, C., Reignier, J., Richard, J. C., Beuret, P., Gacouin, A., Boulain, T., … & Clavel, M. (2013). Prone positioning in severe acute respiratory distress syndrome. New England Journal of Medicine, 368(23), 2159-2168. Hodge, A., Hugman, A., Varndell, W., & Howes, K. (2013). A review of the quality assurance processes for the Australasian Triage Scale (ATS) and implications for future practice. Australasian Emergency Nursing Journal,16(1), 21-29. Hodson, M., & Sherrington, R. (2014). Treating patients with chronic obstructive pulmonary disease. Nursing Standard, 29(9), 50-58. Ignatavicius, D. D., & Workman, M. L. (2015). Medical-surgical nursing: Patient-centered collaborative care. Elsevier Health Sciences. LeMone, P., Burke, K., Dwyer, T., Levett-Jones, T., Moxham, L., & Reid-Searl, K. (2015). Medical-surgical nursing. 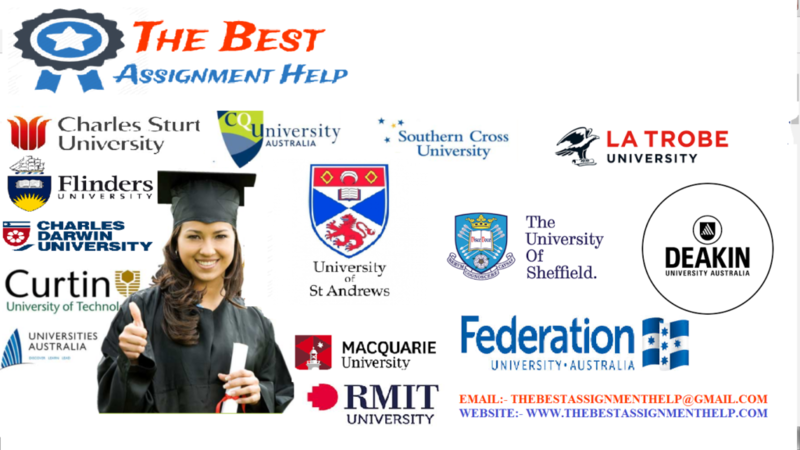 Pearson Higher Education AU. Miller, S., Owens, L., Collins, T., & Silverman, E. (2014). Psychophysiology of respiratory disease: clinical considerations for the advanced practice nurse. MJHS, 24. Murray, J. F., Matthay, M. A., Luce, J. M., & Flick, M. R. (2012). An expanded definition of the adult respiratory distress syndrome. American Review of Respiratory Disease. Osborne, S., Douglas, C., Reid, C., Jones, L., & Gardner, G. (2015). The primacy of vital signs–acute care nurses’ and midwives’ use of physical assessment skills: a cross sectional study. International journal of nursing studies, 52(5), 951-962. Stefan, M. S., Au, D. H., Mularski, R. A., Krishnan, J. A., Naureckas, E. T., Carson, S. S., … & Lindenauer, P. K. (2015). Hospitalist attitudes toward the assessment and management of dyspnea in patients with acute cardiopulmonary diseases. Journal of hospital medicine, 10(11), 724-730. Stumbles, P. A., Andrus, P., & von Garnier, C. (2013). Chronic asthma.Chronic Illness and Disability: Principles for Nursing Care, 351. Tran, C. (2016). Exacerbation of peripheral cyanosis: case report. Reactions,1611, 145-23. Welsh, E. J., & Carr, R. (2015). Pulse oximeters to self monitor oxygen saturation levels as part of a personalised asthma action plan for people with asthma. The Cochrane Library.